Freddy Fender: Musician, celebrity, inspiration for The Rabbit. Oh, like you don’t know what I’m talking about. 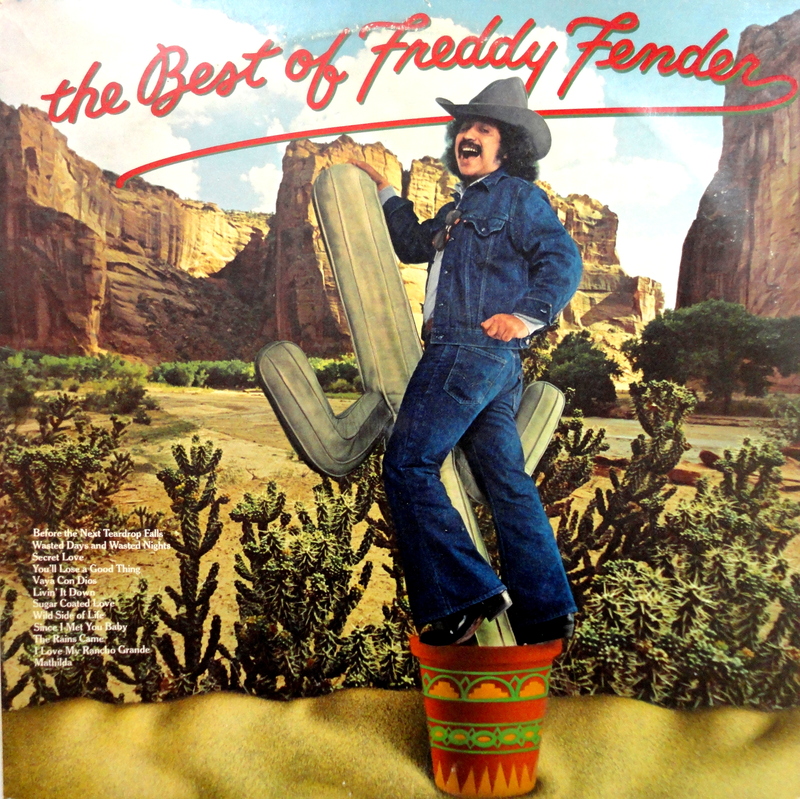 Please welcome The Best of Freddy Fender to the Bad Album Cover Hall Of Fame, and get that thing out of your sock drawer before your kids find it. What If God Wrote A Book On The Bible? Oh, that’s a cactus and not Freddy’s…you know, you’re right. That is a cactus. is this some weird alias for Ron Jeremy?